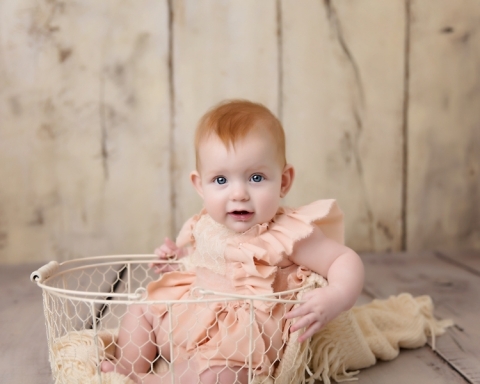 Welcome Lucy to the Cleveland baby photography blog! Ah, these girls! 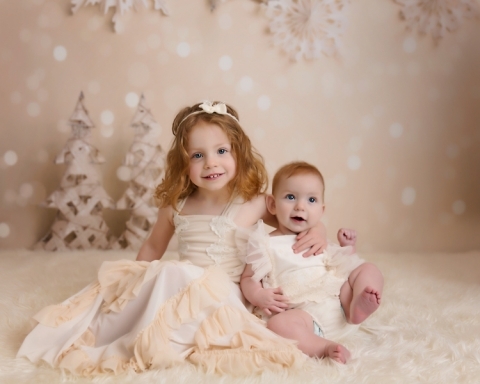 I have been photographing this family since big sister was a newborn and they always warm my heart! Miss Lucy came in for her six month session and was just as sweet as can be! I always swoon over their red hair and adorable personalities. And of course, mom and dad are pretty awesome as well. Awesome people make awesome kids, right? With Christmas right around the corner, a holiday set was essential. Mom did not an overly Christmas session, which I agree, hopefully these photos will be displayed on their walls year round. That’s always my goal, anyway. Timeless always wins in my book! And while I have been getting rid of most of my backdrops lately and heading toward more simple sets, I do love this one from Lemondrop Shop Backgrounds. It’s neutral and not over the top themed. Lucy is such a laid back girl! She was for her newborn session as well, which you can see here. And while she had a bit of a cold, Lucy was so chill. She put up with several outfit changes and my goofy noises like a champ. We used this bowl for Lucy’s newborn session- I love a good comparison of how much these little ones grow. She is modeling the new outfit from Cora and Violet so well. Grey looks great on baby girl’s soft complexion. Simple photos like this are always my all time favorite. Gah, those rolls and that sweet face! Nothing is better! Thank you so much for stopping by the blog! Looking for Cleveland baby photography? Please check out the blog and the portfolio. 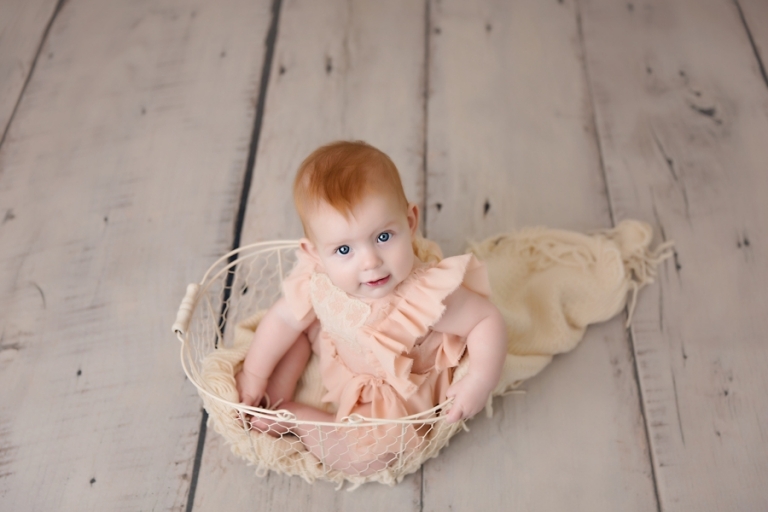 The best time for a milestone session is when your baby is sitting well on their own, although we can work around your little one’s development.